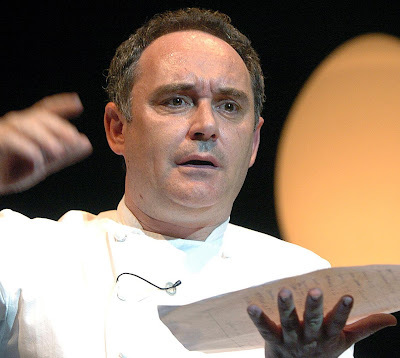 Madrid (ACN).- El Bulli's Restaurant will close its doors on June 30, 2011, but on the exact same day, El Bulli Foundation, the new initiative by Catalan Chef Ferran Adrià, will open. The foundation is the new challenge of this vanguard and internationally-rewarded chef that aims to investigate cuisine from the inside. Adrià presented the main objectives of his foundation to MadridFusión. With the motto 'Freedom to create', the foundation will work with an annual budget of between 600.000 and 800.000 euros The money will be invested directly by Adrià and his partners, Juli Soler and Albert Adrià. To change a restaurant into a foundation means changing the appearance of the famous El Bulli. The restaurant will not be destroyed, but a new building will be constructed around it. Adrià explained that 'El Bulli' will become an 'archive' where visitors will be able to check the creations of the foundation. The area will also have a space for 'brainstorming' that from time to time, will operate as a cinema too. Finally, the most important place of all will be the experimenting area, where chefs, journalists, philosophers or marketing experts will come together to explore the possibilities of the vanguard cuisine. The 'El Bulli Foundation' aims to be 'ecological' and 'sustainable'. That is why Adrià has asked to the architect Enric Ruiz Geli for a 'vital' and 'organic' structure for the new buildings to bring some modernity to the area. 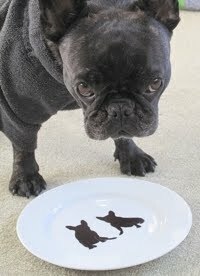 According to him, 'if there is no craziness, it will become something normal' and that would not be 'innovative'. Ruiz Geli considers the project to be a 'pilot of sustainable architecture' that would be 'unique in the world'. The aim is to find a connection between the building and the essence of the Bulli experience. The building will be ecologic and will be integrated into the landscape. The objective is to produce no CO2 emissions, so that the building itself creates all the energy it needs from the natural resources available. They even want to go the extra mile, and they are thinking about the possibility of asking all collaborators to go to work with electric cars or to avoid the use of air conditioning. All the work and research developed within the Foundation will be available online, according to Ferran Adrià. The Catalan chef thinks that if all the contents are on the Internet, the Foundation will have more pressure to work well and chefs will get external inputs about their work. Ferran Adrià said it is 'crucial' to receive 'feed-back' from the audience about the task that will be developed by the members of the Foundation. Although gastronomy fans won't be able to book a table to eat in the Foundation, Adrià is exploring the possibilities of inviting people to taste their creations.